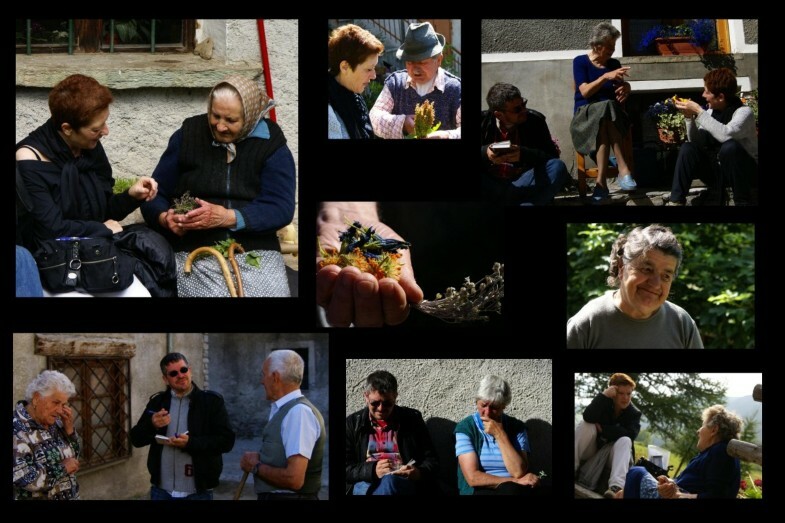 A gastronomic and medical ethnobotanical study was conducted among the Occitan communities living in Blins/Bellino and Chianale, in the upper Val Varaita, in the Piedmontese Alps, North-Western Italy, and the traditional uses of 88 botanical taxa were recorded. Comparisons with and analysis of other ethnobotanical studies previously carried out in other Piemontese and surrounding areas, show that approximately one fourth of the botanical taxa quoted in this survey are also known in other surrounding Occitan valleys. It is also evident that traditional knowledge in the Varaita valley has been heavily eroded. 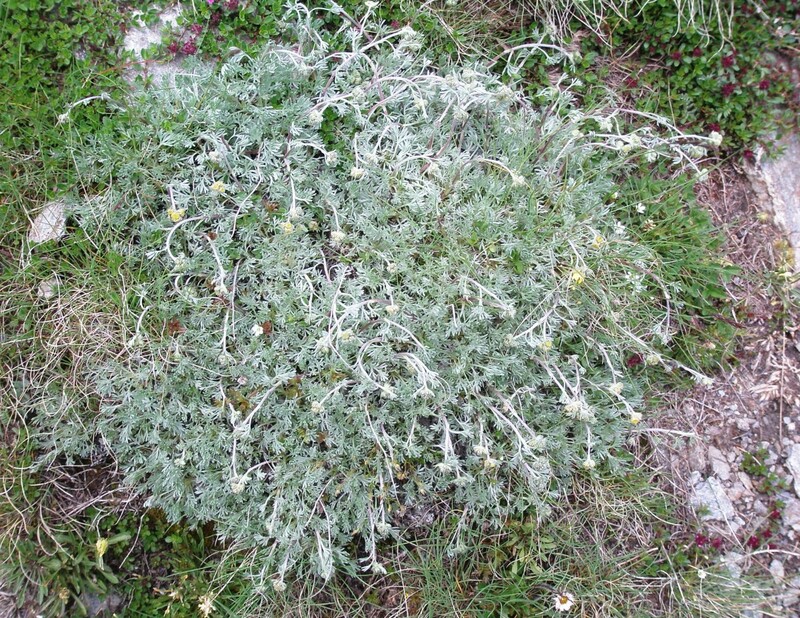 This study also examined the local legal framework for the gathering of botanical taxa, and the potential utilization of the most quoted medicinal and food wild herbs in the local market, and suggests that the continuing widespread local collection from the wild of the aerial parts of Alpine wormwood for preparing liqueurs (Artemisia genipi, A. glacialis, and A. umbelliformis) should be seriously reconsidered in terms of sustainability, given the limited availability of these species, even though their collection is culturally salient in the entire study area. In recent years, only a few ethnobotanical researches in the Alps have focused on the interaction between plant resources and human societies within ethnic minority groups [1–6]. This is regrettable because comparative and/or quantitative analyses aimed at increasing the understanding of how Traditional Knowledge (TK) of botanicals changes across cultures and over time and space are essential if we are to form strategies aimed at sustaining bio-cultural diversity and unique experiences of interactions between nature and cultures, and their transmission mechanisms along generations [7–13]. Furthermore, the Alps represent one of the most interesting but least studied regions in Europe, particularly with regard to the exploration of tangible and intangible cultural heritage related to TK of plants, even though the potential outputs of such researches could be important in sustainability projects focused on organic farming, home gardens, local foods, eco-tourism, eco-gastronomy, and eco-museology; and even though climate change may have a tremendous impact on Alpine biodiversity and related ethnobotanical resources . Although a number of ethnobotanical inventories were compiled during the past 50 years in a few other Occitan [15–20], Franco-Provencal and Walser Alpine [21–23] valleys in Piedmont and the surrounding areas [24–26], no field ethnobotanical studies had been conducted in the Varaita valley. Instead only a few linguistic  and ethnographic researches [28–32] took place. to suggest local plant resources of particular interest for sustainable small-scale agricultural/gathering activities and eco-tourism activities. The presence of a single "Occitan" culture/language is one of the most disputed issues in European ethnolinguistics , given the considerable heterogeneity of the vast area covered by all linguistic varieties linked under the "Occitan" umbrella. In Italy, "Occitan" languages are spoken in a dozen of valleys in the Western Alps in the Piedmont region , where the interest of the media has been concentrated in recent years on tracing this disappearing culture , and within a small enclave in Southern Italy (i.e. Guardia Piemontese in the Calabria region). The focus of this study, the Varaita valley, is located in the Western Alps in the Piedmont region, Cuneo province, in North-Western Italy (figure 1). The valley is crossed by an homonymous alpine torrent, which is 75 km long and springs from the slopes of the mountain, Monviso, in the Cottian Alps near the French border, and enters the Po River near Casalgrasso. From the beginning of the 12th century until 1601, most of the Varaita valley was part of the small but influential marquisate of Saluzzo. 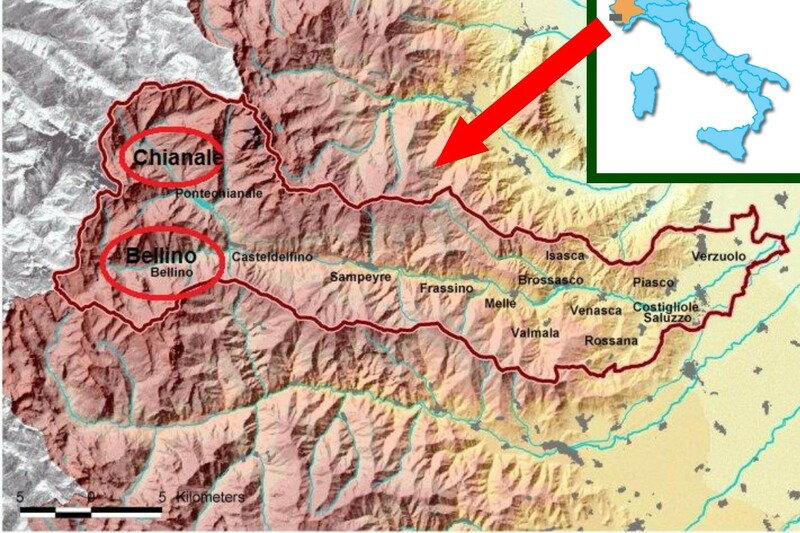 The upper Varaita valley, called Chastelada, had a different fate however. For four centuries, from 1343 until 1713, it belonged to an independent federation known as Escartons, which was based in Briançon in France. This federation was a good example of enlightened and progressive self-government . After 1713, the upper valley had a quite complex history due to its location on the border of Italy and France. It was the locus of continuous military incursions in the 18th Century from the French side, and in the 19th and most of the 20th century it saw much intensive smuggling activity. Location of the study area. At present, only mainly elderly persons still live year round in the upper part of the Valley. Bellino (1480 m a.s.l.) includes the hamlets of Çelle, Chiazale, Chiesa Fontanile, Pleyne, Ribiera, and Sant'Anna, and has the status of a municipality. Chianale (1797 m a.s.l., figure 2) is a hamlet in the municipality of Pontechianale. 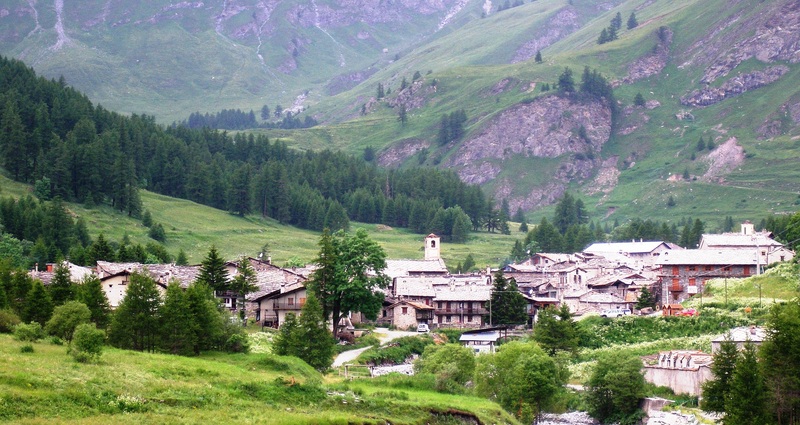 The hamlets of Bellino and Chianale are among the smallest Alpine villages in Italy (numbering approx. 15-30 permanent, mainly elderly inhabitants in each village). Regarding vegetation, the upper Varaita valley presents mainly the association Rhododendro-Vaccinietum cembretosum (characterized by Rhododendron ferrugineum, Vaccinium myrtillus and, to a lesser extent, V. vitis-idaea, V. uliginosum, Lonicera coerulea, L. alpigena, L. nigra, Juniperus nana, Rosa pendulina, Daphne mezereum, Clematis alpina, Sedum anacampseros, Luzula sieberi, Festuca flavescens and Homogine alpine), and the subassociation Junipero-Arctostaphyletum cembretosum (characterized by Juniperus nana, Arctostaphylos uva-ursi, Cotoneaster integerrimus, Avenella flexuosa, Vaccinium myrtillus, Minuartia laricifolia, Festuca flavescens, Galium obliquum and Brachypodium caespitosum). The total rainfall is 854 mm/yr (Casteldelfino, 1296 m a.s.l. ); the climate is sub-littoral alpine, with some continental characteristics . The local economy of the upper valley is based on traditional agro-pastoral activities (cow breeding), but this is carried out in only a minor way. There is some tourism, especially in the summer (alpine walking and trekking). Almost all of the few middle-aged and younger members of the community are employed in the lower part of the valley. Traditional cultivation of local staples (rye, barley, buckwheat) had disappeared by the 1970's and home gardens these days are managed as a secondary activity only. Ethnobotanical investigations of the upper Varaita Valley (figure 1), in the communities of Bellino (Celle, Prafauchier, Chiazale, Chiesa, Pleyne, Ribiera, and Sant'Anna, and Bals) and Chianale (figure 2) were carried out over four weeks in July 2008. Local informants (n = 67) were asked about local food and medicinal plants via open and semi-structured interviews (figure 3). Detailed information was sought about the plants' vernacular names, and particularly their past and present uses. Documentation of a few interviews conducted during the field study (photo: Nicola Robecchi). Prior informed consent (PIC) was obtained verbally before commencing each interview, and ethical guidelines adopted by International Society of Ethnobiology  were followed. The quoted botanical species were identified using Pignatti's Flora d'Italia  (with the help of a recent standard work on Alpine flora ), and systematically framed as suggested by the most recent checklist of Italian vascular flora . Voucher specimens of the wild taxa were collected, and they are now deposited at the Herbarium of the University of Gastronomic Sciences. The data collected during the field study were reported using Microsoft® Excel, and a descriptive comparison was conducted with ethnobotanical data available in the scientific literature (e.g. field studies previously conducted in Piedmont and other surrounding alpine areas [15–26]). However, given the tremendous heterogeneity of the methodological approaches adopted in all these previous studies (in which the number of informants was rarely reported, and in a few cases even the names of the villages visited were omitted), it was impossible to carry out a proper statistical analysis aimed at capturing similarities between our data and the data occurring in the ethnobotanical literature (i.e. : correspondence analysis, Jaccard index). All the quoted botanical taxa (n = 88), including their related recorded local names and traditional gastronomic and/or medicinal uses, are reported below. We have included in brackets the voucher specimen codes and the quotation index (+++: taxa quoted by at least 40% of the informants; ++: taxa quoted by more than 10% and less than 40% of the informants; +: taxa quoted by fewer than 10% of the informants). Dried flowering tops of Achillea herba-rotta. Hordeum vulgare L. (Poaceae). Cultivated in the past. Uerge. Is the Occitan TK of gastronomic and medicinal plants different from other Western Alpine TK systems? Table 1 shows a comparison between the medico-ethnobotanical data collected in the study area and data gathered from previous ethnobotanical studies conducted in other Alpine valleys in Piedmont and surrounding regions (figure 8) [15–26]. The data available in the literature on Piedmontese ethnobotany are not methodologically consistent, and the field methods used in early studies have only rarely been properly described, nevertheless the descriptive comparison shows that approximately one fourth of the quoted taxa in our study occur in the TK systems of other Occitan valleys. One exception, however, is represented by the ethnobotanical data of two Occitan valleys whose inhabitants are Waldensians. This group shows an ethnobotanical knowledge that seems to be very distinct from that of the bulk of all other Occitan areas. Comparison between the folk medicinal taxa quoted in the upper Varaita valley and those quoted in other ethnobotanical studies conducted in the past in the Western Alps (see Figure 8). Numbers in the first column correspond to those used in Figure 2. 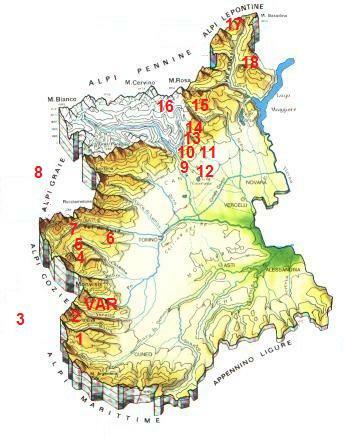 Location of the Western Alpine sites, where previous ethnobotanical studies have been carried out (numbers correspond to those used in the first column of Table 1; VAR: study area - upper Varaita valley). 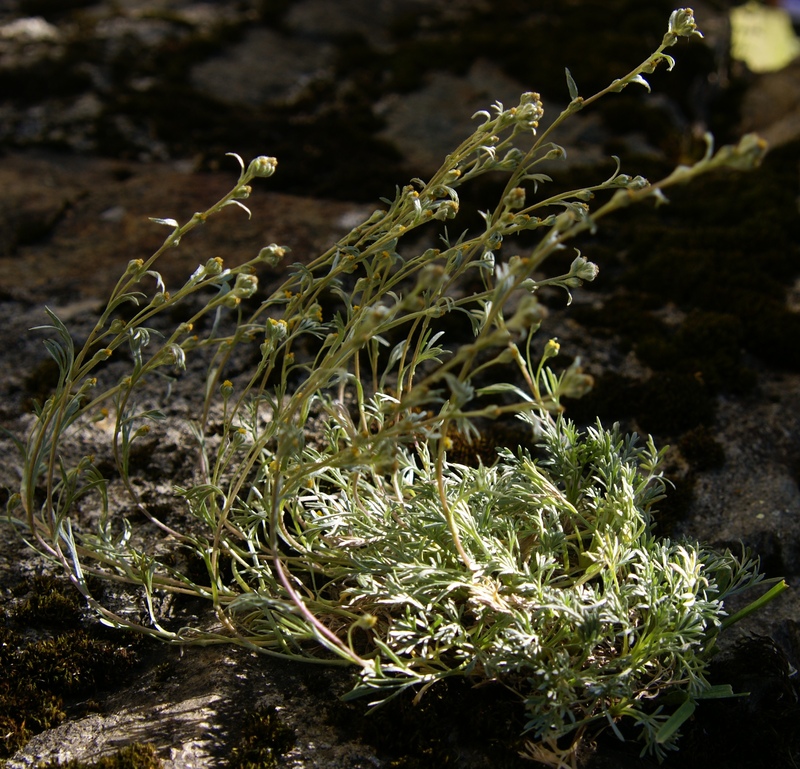 The term genepì/génépì (synonyms: génepi, génipi) is applied in the Western Alps (in Occitan, Franco-Provencal, and also in French and Italian too) to diverse species of locally growing Alpine wormwood (esp. Artemisia genipi, A. glacialis, A. umbelliformis). This term has probably Savoyard origins, and is derived from the Latin Dianae spicum (épi de Diane in French, Diana's ear in English) . The ethnobotany of genepì in the Western Alps has never been recorded specifically or systematically, although scattered notes have occurred in Alpine ethnobotanical studies over the last few decades (Table 2). From these brief ethnographic reports we can conclude that genepí was originally used for preparing herbal teas, and shepherds in the mountainous areas frequently used to decoct the aerial parts in milk and butter instead of water. Following the introduction of wine and grappa (purchased from farmers living in the hills and on the plains), the herb probably was macerated in alcohol as its use as a liqueur began to appear over a century ago in different gastronomic and commodity treatises in France and Italy [42–45]. Folk medical uses of the aerial parts of Alpine wormwood (Artemisia genipi, A. glacialis, and A. umbelliformis) in diverse North-Western Alpine areas (See Figure 8 to located most of these areas on the map). Macerated in alcohol; made into home-made distillate with chopped apples and sugar. FP: Franco-Provençal. OC: Occitan. OC*: Occitan and Waldensian (according to religion). This seems to concur with what has been hypothesized in other Italian Alpine regions regarding herbal macerates in grappa , which they were considered sometimes traditional "medicinal" preparations. Preparation of liqueurs began to be relevant especially in the 1960's, when Italy began to enjoy better economic conditions which enabled isolated rural communities to have at their disposal larger amounts of grappa and/or industrial alcohol. This shift is quite interesting since it demonstrates, not only the overlapping between food and medicine, but also how the preponderant role of one of the two domains can be the result of dynamic historical, social, and economic changes. 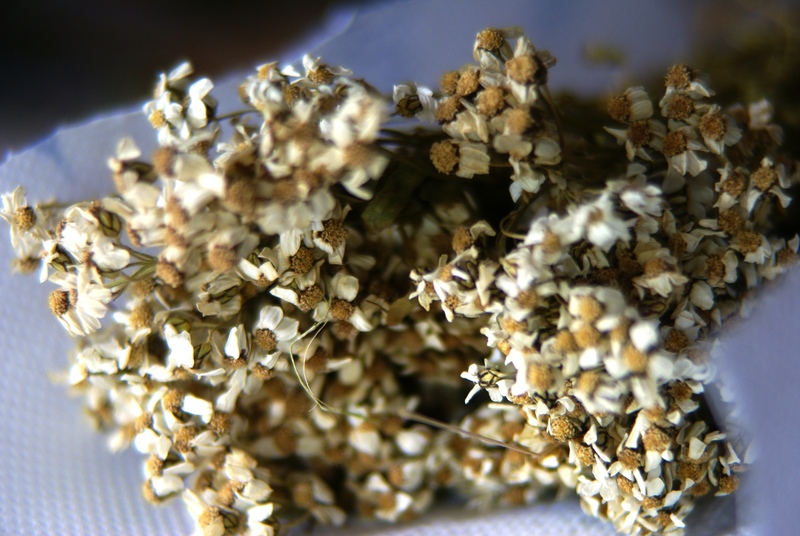 Nowadays, A. umbelliformis is widely cultivated in the Western Alps to supply the local distilleries that produce the alcoholic macerate of genepì, which widely traded all over the world. 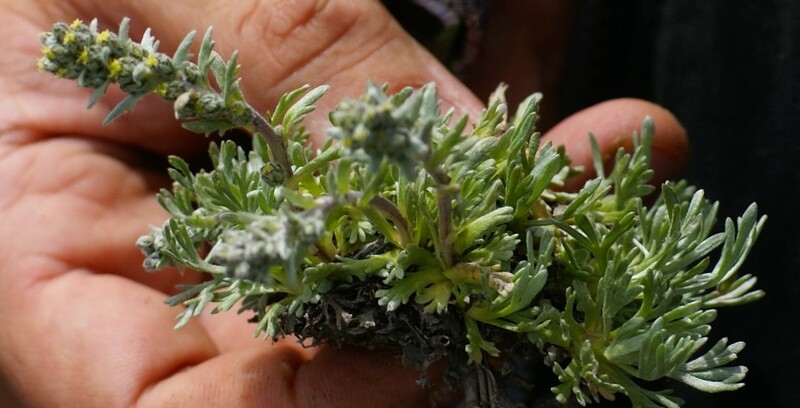 Because of this economic interest, local institutions in Piedmont are very active in putting in place measures for improving the quality and yield of cultivated Alpine wormwood . All our informants, however, were very keen to underline the difference in taste between the industrial genepì (produced from the aerial parts of A. umbelliformis only - the only Artemisia species of the three that has been and can be cultivated with substantial agronomic results) and the home-made liqueur (which generally always contain A. genipi or sometimes a mix of A. genipi and A. glacialis). According to locals in the upper Varaita valley, the specific occurrence in the recipe of A. genepì (locally defined as the "male genepì") is crucial for achieving a superb tasting alcoholic beverage. A. genipi grows in the study area only between 2600-2700 meter a.s.l., and it is very difficult to find, which is why it is so highly valued. Although the species is endangered and its collected is prohibited in many Alpine areas, in the Piedmontese legislation the plant is not included in the regional Red List and aerial parts corresponding to up to 5 plants per person can be gathered . Locals in the upper Varaita valley continue to gather the flowering tops (locally named "ears") of A. genipi during July and August, to dry them, and them macerate them in alcohol for at least a month and a half (the alcoholic macerate is then diluted with sugar and water, and filtered). In the past this species was probably heavily exploited by the locals in Chianale, who used to sell it (generally dried) to local distilleries both on the plain of Piedmont and on the French side (often smuggled across secondary pathways over the Alps that were passable with donkeys only). Informants in Chianale recalled how this activity provided the inhabitants with their most important income from a few decades after World War II. There is probably still some illegal gathering of this species that provides additional cash to the people of the mountain. A few informants told us that the income that can be derived from gathering genepì (A. genipi and - to lesser extent - A. glacialis) can reach 15-20 thousand Euros every summer for one single household. In table 3 we report on the current legal framework [48–50], the estimated ecological availability and potentialities for the local market of the most quoted, traditionally used wild herbs in the study area. up to 1 kg (dried aerial parts) if special permission is obtained from local authorities. (dried herb to be sold as a tea). up to 5 kg (dried flowers/roots) if special permission is obtained from local authorities. (dried flowers to be sold as a tea). up to 2 kg (dried aerial parts). if special permission is obtained from local authorities. Medium (ingredient of home-made digestives). up to 1 kg of each species (dried aerial parts). if special permission is obtained from local authorities. Very low, given the limited ecological availability. Not clear: aerial parts corresponding to five plant samples or unlimited gathering. Unlimited gathering, due to the fact that the plant can be considered "commonly consumed" in the study area. High (dried fruits as a tea or seasoning). Unlimited gathering, due to the fact that the plant can be considered "commonly consumed" in the study area. Low (as an ingredient for digestives) due to the limited availability in the area. Up to 10 kg (dried roots), if special permission is obtained from local authorities. High (dried root as a tea or ingredient for digestives). Unlimited gathering, due to the fact that the plant can be considered "commonly consumed" in the area. Medium (as a tea or as a preserved vegetable). Up to 2 kg (dried roots), if special permission is obtained from local authorities. Low (as an ingredient for digestives) due to the limited availability. Medium (as a preserved vegetable). Low (as a preserved vegetable). up to 5 kg (dried aerial parts) if special permission is obtained from local authorities. High (as a tea or as an ingredient for digestives). High (as a preserved vegetable or a tea). High (as a preserved vegetable). Aerial parts corresponding to five plant samples. Low (as a tea) due to the limited availability in the area. It is clear that further exploitation of the genepì species cannot be recommended, however sustainable gathering of other local plant resources (wild vegetables and herbal teas) that are widely available in the area, could be a very interesting way to complement the eco-touristic activity, that is quite exclusively concentrated during the summer months, thereby providing an important source of income for the few remaining inhabitants. Traditional food and medical uses of 88 local plants were recorded in the upper part of the Varaita valley. Analytical comparisons with other ethnobotanical studies previously carried out in other Piemontese and surrounding areas have shown that: a) traditional knowledge has been heavily eroded in the Varaita valley, and b) approximately one fourth of the quoted botanical taxa were also recorded in earlier surveys conducted in other Occitan valleys in the Italian Alps. Furthermore, the continued widespread local collection from the wild of the aerial parts of Alpine wormwood for the preparation of liqueurs should be seriously reconsidered in terms of sustainability, given the limited availability of these species even though this collection is culturally salient in the entire study areas, On the other hand interesting potentialities for the local market could be tested for other widely available wild species, such as Achillea herba-rotta, Arnica montana, Carum carvi, Chenopodium bonus-henricus, Tanacetum vulgare, Taraxacum officinale, and Tragopogon pratensis. Special thanks are due to all the Occitans of the upper Varacho, for agreeing to share their knowledge with the authors; to Professor Alberto Capatti (food historian, University of Gastronomic Sciences, Pollenzo, Italy) for providing us with invaluable historical sources on the liquoristic traditions of genepì; to Nicola Robecchi for logistic assistance and photographic services; to the Region Piedmont, for having sponsored the project. This article is dedicated to the unforgettable colleagues Nina L. Etkin (University of Hawai'I, USA), medical anthropologist, and Miguel Martinez, (UNAM, Mexico), ethnobotanist, who passed away a few months ago. AP and MEG have collected the data in the field; AP has analyzed the data and drafted the conclusions. All authors read and approved the final manuscript.